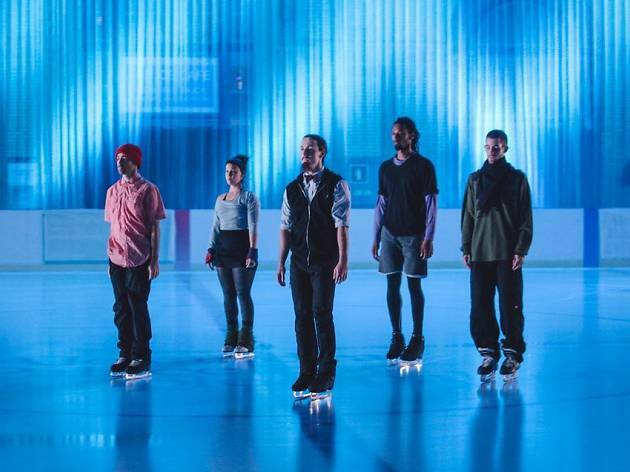 Canadian troupe Le Patin Libre promote a less hammy, more thoughtful approach to ice-skating. Dance meets theatre meets figure skating in a special series of summer shows at the Patinoire Sonja Henie. From June 14-17 2016, Le Patin Libre, a Canadian skating company led by choreographer Alexandre Hamel, will finally be showcasing their critically acclaimed new production, ‘Vertical Influences’, to Parisian audiences. Be sure to shake off any preconceptions before you go, though, as this isn’t your typical pretty, extravagant, yet ultimately unaffecting kind of figure skating performance. Eschewing the traditional glitz associated with the ice rink, the group will apparently be exploring the weighty but rather open theme of ‘the survival of the individual within a group’. For more information, visit their website.